The switch for ABS (Advanced Braking Systems) on motorcycles will be optional according to the latest information from the European Commission. At this stage the proposal requires the mandatory fitting of ABS (Antilock Braking Systems and Combined Braking Systems (CBS) to new motorcycles by manufacturers after 2016. 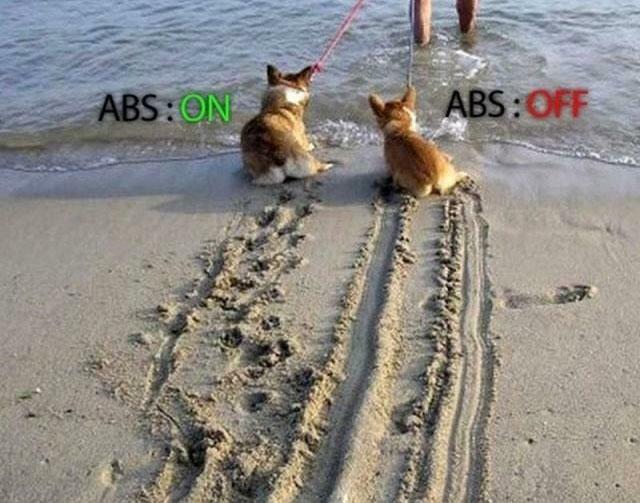 The issue regarding a “switch off” option, which some manufacturers offer today on ABS equipped bikes, was to allow riders to disengage ABS in certain driving conditions such as driving on loose gravel. This was mainly for those bikes that would be classed as a trail bike or the adventurer motorcycle used mainly on surfaced roads but with capabilities, to be taken off road or ridden on unsurfaced roads from Europe to Africa and all points of the compass. Concerns were also raised regarding dual purpose motorcycles, those used in competition or recreation such as Trial and Enduro bikes that spend most of their time on unsurfaced public roads – which riders are legally entitled to use – because these bikes are legal with number plates, silencers, tax and insurance. The “switch” issue found its way into the IMCO (Internal Market and Consumer Protection) committee and Rapporteur MEP Wim van de Camp was to be asked to consider proposing an off-switch for ABS for those PTW categories as and when ABS would end up being mandatory. However what happened was that Enduro and Trial motorcycles now have a separate category under the revised rules that would exclude them from the mandatory introduction of ABS. (While ABS mandatory requirements relate to engine size, a debate is still on-going whether smaller bikes over 50cc to 125cc should be included along with all other bikes). The issue on the “switch off” option seemed to have disappeared until now. We have learned today from the European Commission that the fitting of a switch on ABS systems will no longer be opposed. ACEM said previously that an on/off button for ABS is permitted by the EU legislation, in the text in the Commission’s Proposal and indeed amendments submitted by MEPs in the IMCO committee, there is no mention of prohibiting a switch. At the last MCWG meeting in December discussions told place on the – Regulation on vehicle functional safety requirements (RVFSR) – this is one of the delegated Acts. These discussion documents covered – Braking, including antilock and combined brake systems on motorcycles and that for brakes, UNECE ( United Nations Economic Commission for Europe ) Regulation 78 would replace the EU proprietary brake testing and system requirements. UNECE Regulation 78 has NO requirements (bearing in mind this regulation sets out the technical details for braking systems), regarding the fitting thus the operation of a switch to turn off ABS. In simple terms it means that we are almost back to the status quo. With regards to motorcycles fitted with ABS, the decision to include the switch is with the manufacturer and ultimately with the rider. The choice with the rider is simply one of going to the dealer and deciding whether he or she wants to have a bike that is sold with or without a switch. In other words you the rider will be able to choose with your wallet. As an example, the latest model of BMW’s S1000RR can be fitted with optional electronic rider assistance systems. It is possible to buy as optional extras, electronic rider assistance systems: Race ABS (Antilock Braking System) and DTC (Dynamic Traction Control) which is only available with Race ABS (Antilock Braking System), DTC adjusts engine torque to the current level of grip. Also available is Gear Shift Assist which allows the gearbox to change up gears without any discernible interruption to the power delivery, all at a price of course. The BMW S1000RR also comes with launch mode, power mode with 4 performance settings. The ABS (Antilock Braking System) functionality changes with the power mode selected, coming in sooner in Rain mode, then intervening nearer the tyres’ limits with each mode change towards Slick. 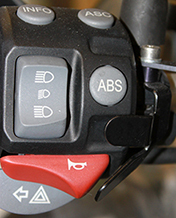 One of the modes, “Slick” mode automatically allows the turning off the rear brake ABS (Antilock Braking System) while maintaining any benefits of the front wheel ABS (Antilock Braking System). BMW with Husqvarna will debut in 2012 what will be the world’s first anti-lock brakes for off-road bikes, Husqvarna is relying on the mechanicals of the ABS already in use by BMW on the afore mentioned S1000RR, the new dual-channel system will have two modes to toggle between on and off-road use. After all the angst and grinding of teeth – we are still left with mandatory ABS – as we commented to the Commission’s representative – one of our concerns was that there will come a time when technology will outdate the regulations. Our humble opinion is that the regulations should be updated to accommodate new future technology, in other words, the regulations should be flexible to allow innovations, which ironically, is what these new regulations are supposed to do.